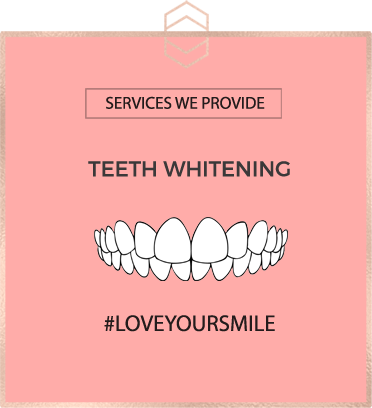 Teeth contouring involves the slight filing of the tips of your teeth. 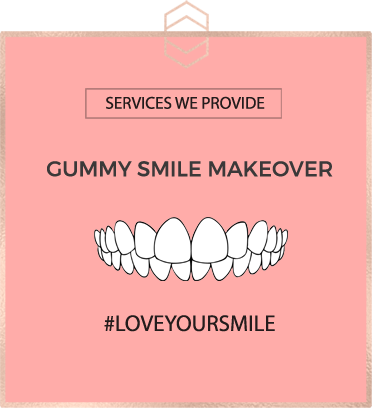 Reshaping teeth allows us to make them look better in terms of their smoothness and size to create a more even smile. If the edges of your teeth are a little jagged, rough or uneven in shape or length, then through tooth reshaping we can make them appear to be straighter than they are by filing the tips of them along the biting edge. 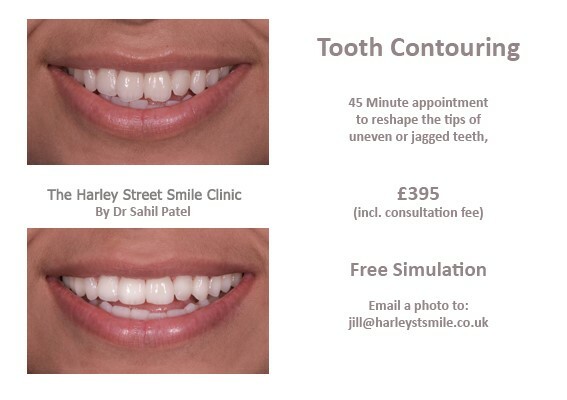 Many people find that they have small jagged edges to some of their teeth but through tooth contouring from Harley St Smile, their teeth can be made to look much tidier once smoothed a little. Canine teeth regularly look long or sharp, which might not be to your taste, so rounding off the tips through a tooth reshaping procedure can achieve the shape or size that you require. This treatment can be applied to one tooth or several in order to attain a neater smile. Irrespective of the reason you require the treatment we can use teeth reshaping on each tooth to make it look how you want – within reason. Whether it is more rounded and feminine or squarer and more masculine teeth contouring that you desire the price is the same regardless of the number of teeth involved. It is worth noting however that if you have any plans to have braces on your teeth then contouring would not be advisable until the orthodontics has been completed. 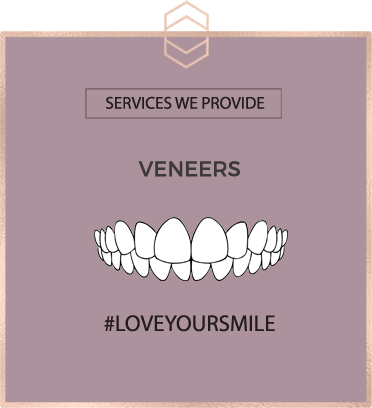 Teeth contouring only takes minutes to carry out and is totally pain-free, and does not even require the use of an anaesthetic to numb your mouth. Teeth reshaping is very subtle and will be done slowly to ensure that you can see the difference as you go along to ensure that you are happy the whole way through, and no tooth would be adjusted too much. If you would like to see what your teeth would look like contoured, please upload your photo in our freebies page. Contouring is charged at £395.